Having a mundane Monday? Here's a video to cheer you up. Tennis star Roger Federer was filmed dancing up a storm with none other than Mickey Mouse on the tennis court at the Shanghai Rolex Masters. The fun video is racking up views and likes by the minute on social media. 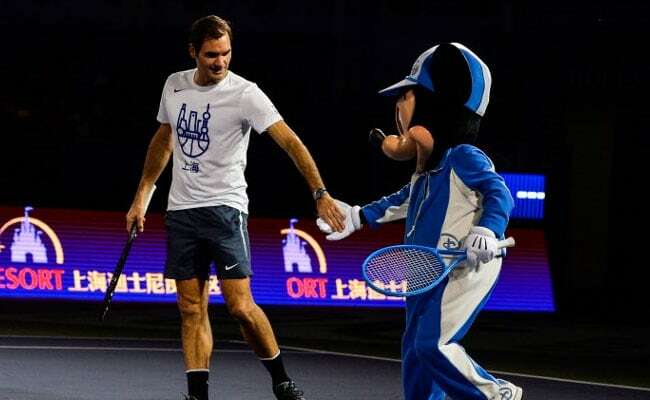 Federer entertained fans during a friendly tennis match with the beloved Disney character at the Shanghai Rolex Masters in Shanghai, China on Saturday. A video of the dance-off posted to Twitter by @TennisTV quickly went viral, with many laughing at the tennis star's gawky dance moves. Though many people loved the 19-time Grand Slam champion's sporting attitude, they agreed he probably should stick to tennis. Since being posted to Twitter on Saturday, the video has been 'liked' over 4,500 times and retweeted over 1,700 times. Roger you are amazing in everything you do!! It's not the first time Federer has been spotted with Mickey Mouse though. In 2014, the tennis legend was photographed with both Mickey and Minnie at Walt Disney World in the US.